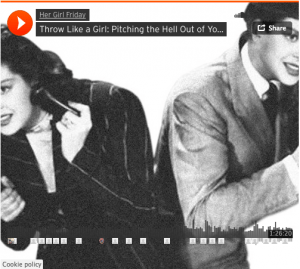 Spring training for audio producers: Pitch more. Pitch better. The barriers between having a story idea and broadcasting it have grown ever lower (see also: blogging, Twitter, SoundCloud). But broadcast isn’t what defines a professional storyteller; payment is. There are infinite ways to work as an indie journalist. They’re all based on the ability to tell a story so people will pay to hear it. Great stories may stretch into hourlong documentaries or 5,000-word magazine pieces, but one crucial test of storytelling power is whether you can distill that story into its most intriguing essence. In other words, can you pitch?